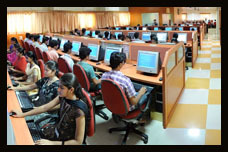 The Institution of Electronics and Telecommunication Engineers (IETE) is India’s leading recognised professional society devoted to the advancement of Science and Technology of Electronics, Telecommunication & IT. 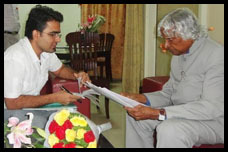 Founded in 1953, it serves more than 53,000 members through various centres, whose number is 52, spread all over India and abroad. The Institution provides leadership in Scientific and Technical areas of direct importance to the national development and economy. 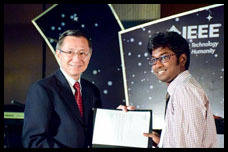 Government of India has recognised IETE as a Scientific and Industrial Research Organization (SIRO) and also notified as an educational Institution of national eminence. The objectives of IETE focus on advancing electro-technology. The IETE conducts and sponsors technical meetings, conferences, symposia, and exhibitions all over India, publishes technical journals and provides continuing education as well as career advancement opportunities to its members. 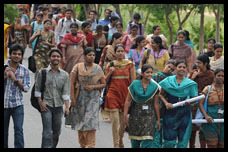 The IETE has built up an impressive strength of student members all over the country,at both graduate(AM) and diploma(SD) levels. A pass in section A & B makes them eligible for AMIETE/DipIETE respectively. 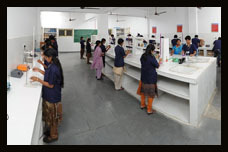 Students’ chapters of IETE centres generally take care of the academic /professional needs of these members. 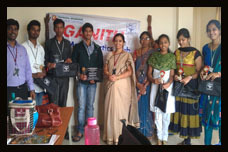 IETE however needs to be well known to all electronics/ telecommunication/ computer science/information technology students to build awareness amongst them for the mutual benefit. 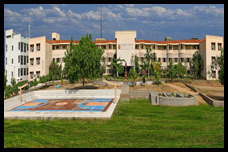 In India, there are nearly 600 Engineering Colleges (affiliated to Universities) & over 190 universities 750 polytechnics. 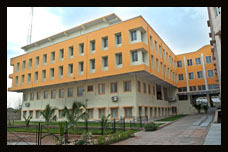 Most of these institutions have Departments of Electronics / Telecom / Computer / IT / Electrical Engineering which have common interest with IETE as they prepare the students for BE/BTech or Diploma qualifications. The IETE can play a useful and stimulating role by improving the standard of education, counseling the students in the emerging opportunities, encouraging outside the classroom studies/practical work/seminars etc. 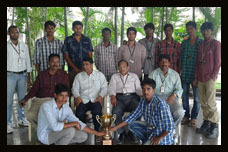 and better employment of the students on completion of their courses. 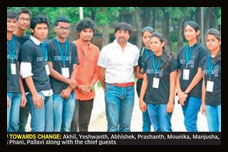 It was a moment of great pride and prestige for the Vignana Bharathi Institute of Technology (VBIT), when a Student Forum of Institution of Electronics and Telecommunication Engineers’ (IETE) was inaugurated here. 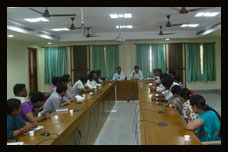 IETE student forum of VBIT was inaugurated on April 2, 2008 at Dept. 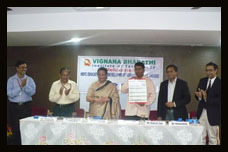 of Electronics and Communication Engineering, Vignana Bharathi Institute of Technology, Aushaprur (V), Ghatkesar (M), R.R.Dist. 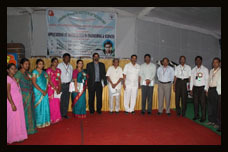 Prof.K.Laxminarayana, MLCC Chairman, IETE; was the Chief-Guest for the function. 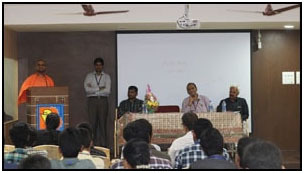 Speaking on the occasion he motivated the students towards achieving more goals and the function is graced by Mr. Venkatraman, Chairman, IETE, Hyderabad and Mr. Prakash Dora, Secretery, IETE, Hyderabad. 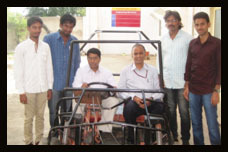 A Total 103 students belonging to various departments registered for IETE membership. 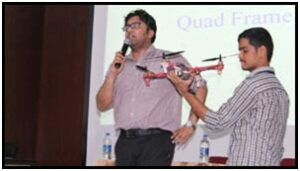 A 3-day Robotics event YantraYojana 2K16 on “Hand Gesture Robot & Quadcopter” is organized under Robotics Club, in collaboration with IIT Delhi & Robosapiens under IETE. An interactive workshop provided hands-on experience to all the 143 participants from I B.Tech.. M. Praveen Kumar & P. Umesh of ECE department co-ordinated the event. 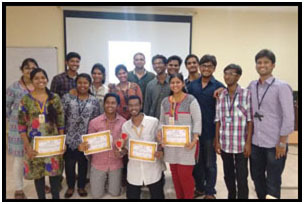 IETE VBIT-SB launched a new activity club entitled “Forum for Public Speaking” on 22nd December 2015. 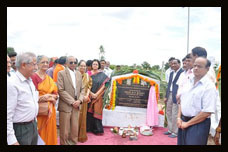 Swamy Poornabodhamayananda from Rama Krishna Math graced the inaugural of the event as the chief guest. 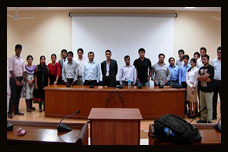 The objective of the forum is to provide a platform for the students to hone their public speaking skills. More than 120 students from all years of B. Tech. 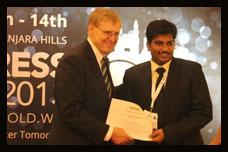 participated in the inaugural public speaking contest. 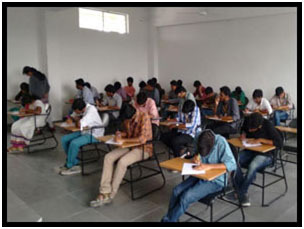 IETE-VBIT SB has conducted Online Quiz on technical topics in which 125 students from various engineering colleges of Telangana have participated. 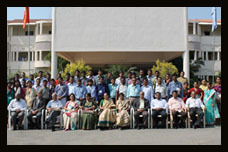 Full Report IETE Student Branch of VBIT Events 2007-14.. Read More….